Many companies have already begun making good use of promotional items. This is because these simple items have turned out to be a powerful marketing source which contains promoting long after you’ve given the items away. If your company isn’t already leveraging promotional items to the fullest of their capabilities you will want to rewrite your marketing plan to include them. This, of course, is not an all inclusive list. A lot of times the type of promotional items you give out depends greatly on the type of business you run. Too many people underestimate the value of promotional items. “Won’t they just throw them away?” “Why should I waste money on something that isn’t making me any money?” Go ahead and get rid of thoughts like that right now. The point is that these items can and will turn you a profit. People may just throw them away but chances are high that someone else will pick it up later. These items just kind of stick around. They may be stuck into a desk drawer or piled up underneath a bunch of stuff. Eventually they will be unearthed, however, and your company will be brought back to find. Another reason for using these items does exist. People like free stuff, plain and simple. If you are giving out free stuff in your store or during an event, more people are likely to attend. Now that you know why you should be using promotional items, you are probably wondering where to get them. There are numerous online retailers who specialize in these items. No matter which site you go with, it is recommended that you buy in bulk. This is because the price per piece tends to drop as you go up in the quantity you purchase. Here is a short list of a few sites which sell promotion items to get you started. Doing a search on your favorite search engine may be able to turn you up some more sites if you don’t find one you like here. 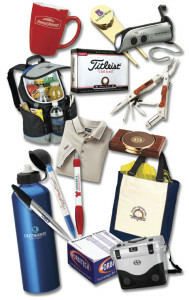 What to do with your new promotional products? Get rid of them. Hand them out at events you attend and during promotions or sales. Include them as prizes in giveaways. Leave a little basket with a “take one” sign near your tiller at your store. For items like bookmarks or postcards you can include one in every purchase you ship out or ring up. The point is to get them out there in the world where they can remind your customers about your company.